Choice and a delicious edible. Found in early autumn in mixed hardwoods. 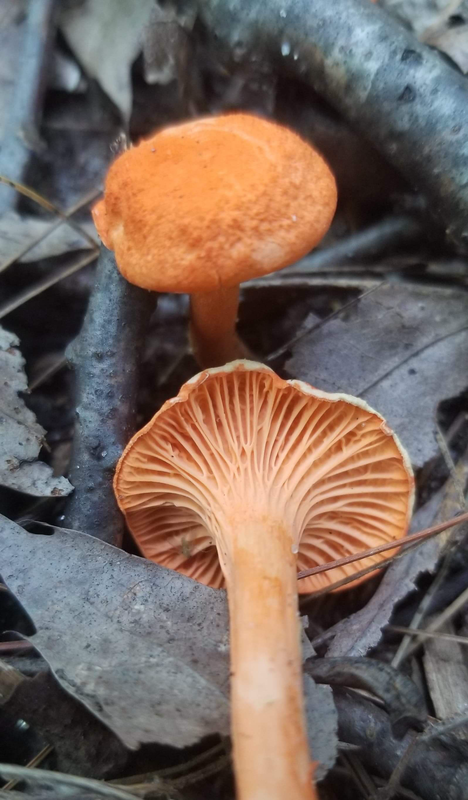 Easily identified by the reddish orange color, pastel appearance and false gills commonly having spreading veins in between. The spore print will be white to a light pink color. When cut they will have a white flesh inside. Cinnabar chanterelles are generally very small and delicate and have a sweet fruity fragrance similar to apricots.